Pepsi MAX has partnered with PHD and Time Out to not only inspire Australians, but also enhance their ability to ‘MAX’ out their summer this year. Through the use of a live dynamic data feed, consumers will be served ads by the brand on events taking place around them that are relevant to their personal interests. 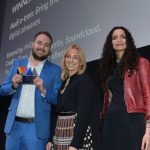 In a media first, Time Out will feed hundreds of event listings to PHD and Pepsi MAX this summer, allowing them to use advanced dynamic ads to inspire consumers each day based on the day of the week and timing of the event, as well as consumer location. This event data will feed into multiple formats including GPS dynamic mobile ads, dynamic office media and dynamic audio ads on Spotify. These ads will all be directly actionable, linking to Google Maps and Time Out for directions to the events around you. For those consumers that listen to Spotify at work this summer, audio ads will be re-purposed as inspiration suggestions. Using the newly released dynamic audio automation, Pepsi MAX and Time Out will suggest events taking place around listeners, making it the largest scale execution of this type of technology in Australia to date. The campaign will target people who are looking for things to do, and will also enable those who are working over the summer period to make the most of their time outdoors. Rachel Taylor, senior marketing manager of beverages at PepsiCo, said: “Pepsi MAX wants to celebrate every last moment of the Aussie summer, and that means enabling hard-working, fun-seeking Aussies to be ingenious and make the most of their time out. PHD’s executive group business director, Stephanie Neal Douglas, said: “This campaign has allowed us to find new and creative ways of unlocking value from Pepsi’s data in order to serve messages that are truly relevant and add utility to their consumers’ lives. “Looking at it from a consumer’s perspective, this campaign has real tangibility. There is nothing worse than seeing an event you would like to attend and not being able to for whatever reason. Michael Rodrigues, managing director of Time Out Australia, said: “Time Out’s mission is to inspire our audience to get out of the house and make the most of what their city has to offer. The campaign is the result of a partnership between PepsiCo, PHD, PHDP, Time Out, Clemenger BBDO, Red Engine and Traffik. Each element will launch from today.